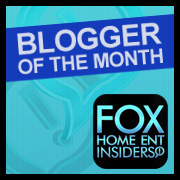 You might have hear that HOME from Fox Entertainment is now available on Blu-ray/DVD and I have a copy for you to WIN! 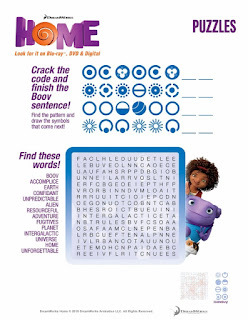 Print out these fun FREE printables for your little ones and enter the contest below. 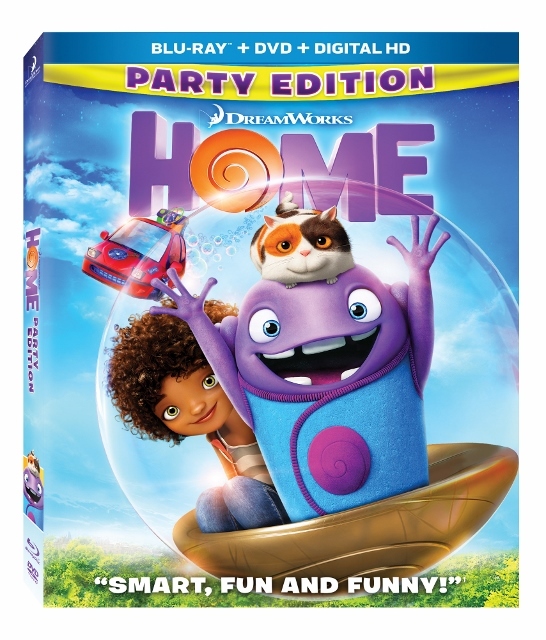 Have you seen HOME yet? If not, let me give you a summary of the film. 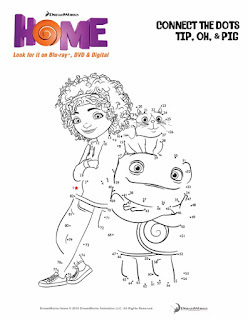 It is based on Adam Rex's 2007 children's book The True Meaning of Smekday When Oh, a loveable misfit from another planet, lands on Earth and finds himself on the run from his own people, he forms an unlikely friendship with an adventurous girl named Tip who is on a quest of her own. 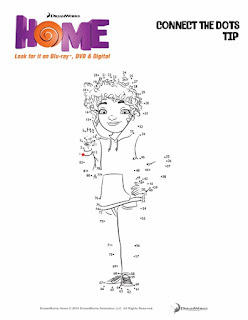 Through a series of comic adventures with Tip, Oh comes to understand that being different and making mistakes is all part of being human. And while he changes her planet and she changes his world, they discover the true meaning of the word HOME. With an all star cast, it will sure to be a fun family favorite. 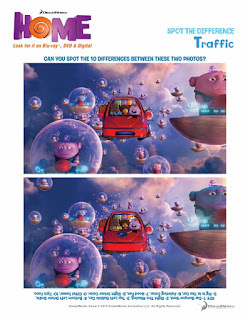 Enjoy these FREE activity sheets and be sure to enter the giveaway below. DISCLAIMER: I was given a copy of the movie. My favorite movie when I was a kid was The Lion King. It's still one of my favorite movies! I would love to win this for my best friend's daughter. She's been dying to see this movie. Whenever an ad for it comes out on TV, she gets so excited! Her favorite movie is Frozen. At the moment? Definitely Home, but Inside Out seems to be a close second!